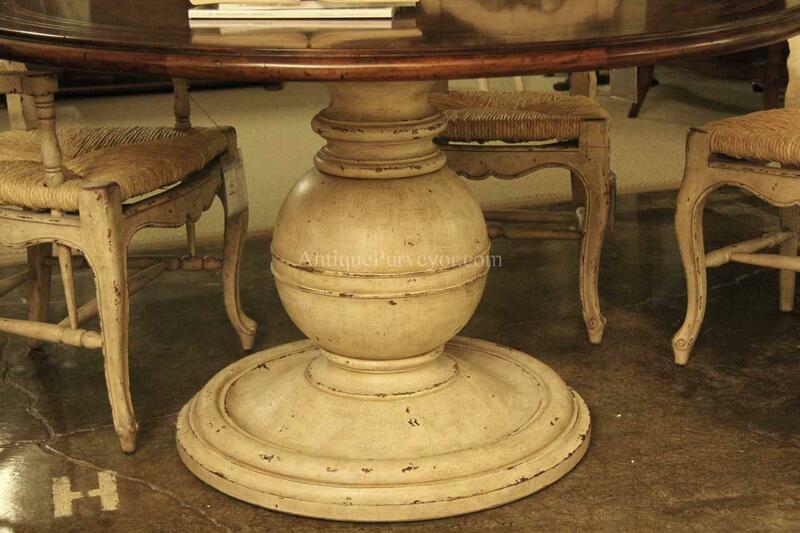 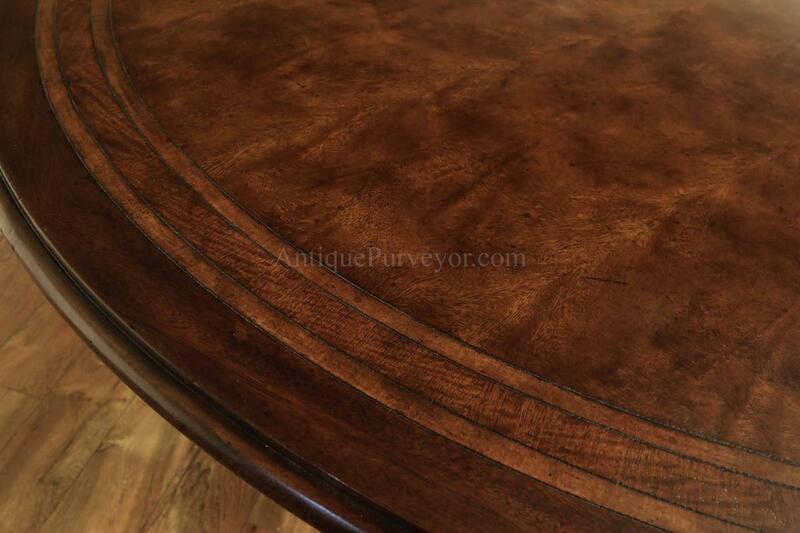 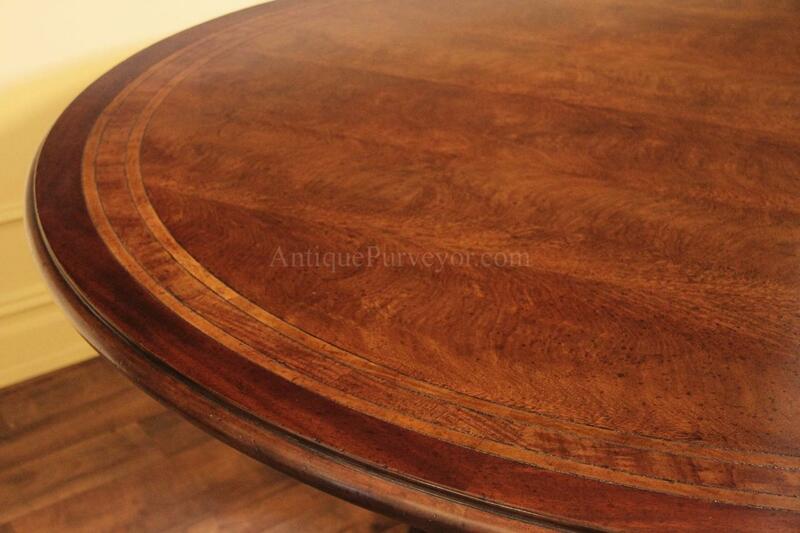 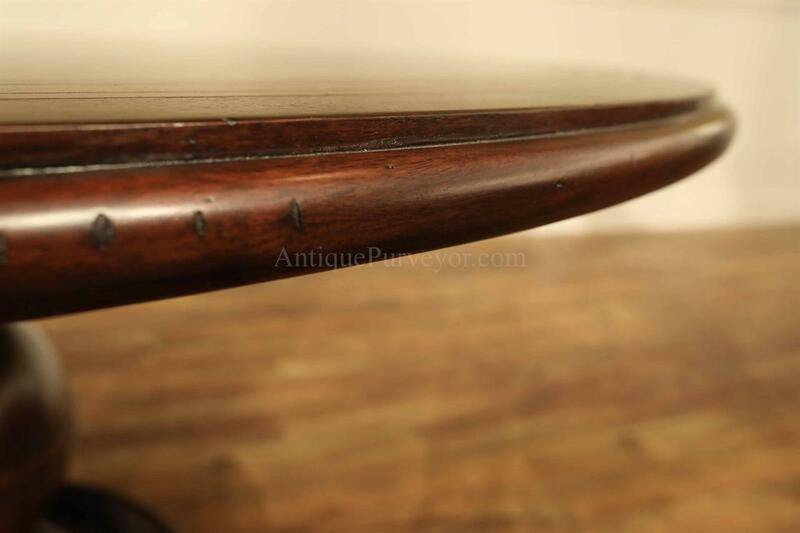 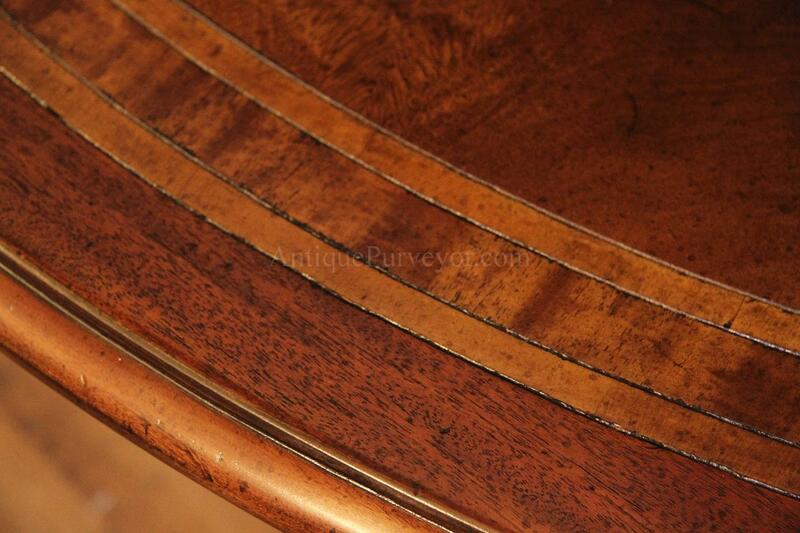 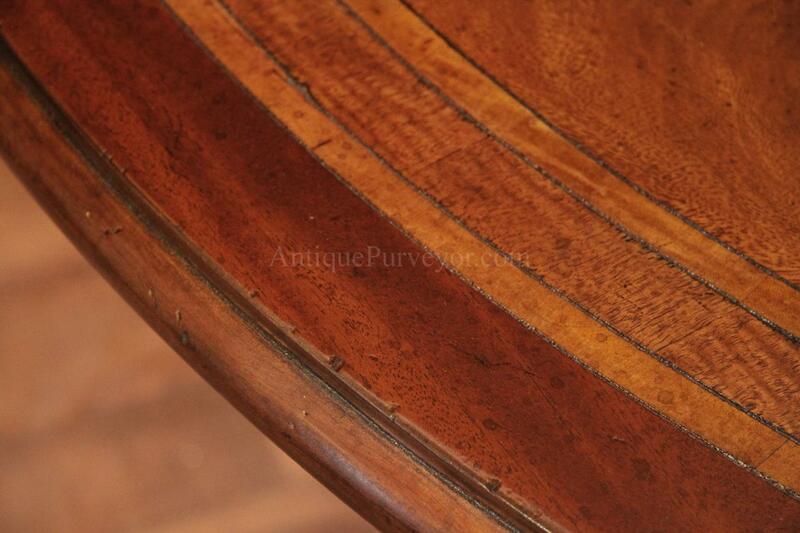 Description: Distressed mahogany and cerejeira 64 inch round pedestal table. 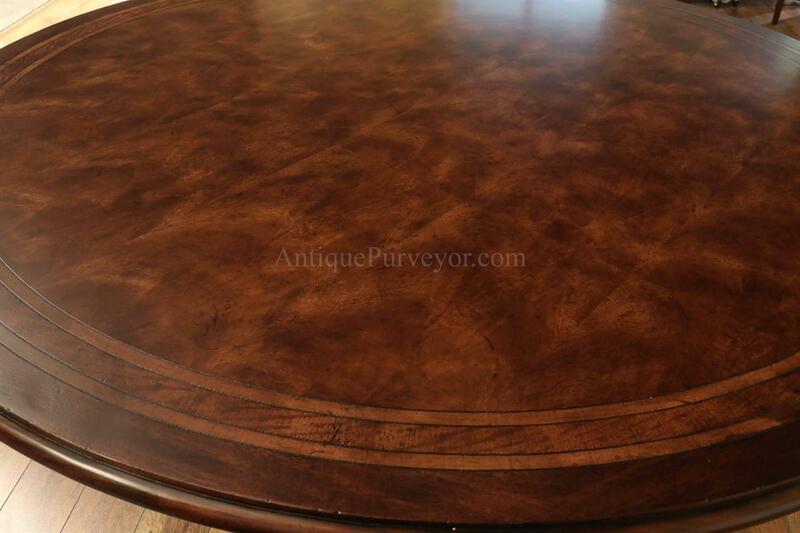 French inspired Art Deco designed table by a reputable builder. 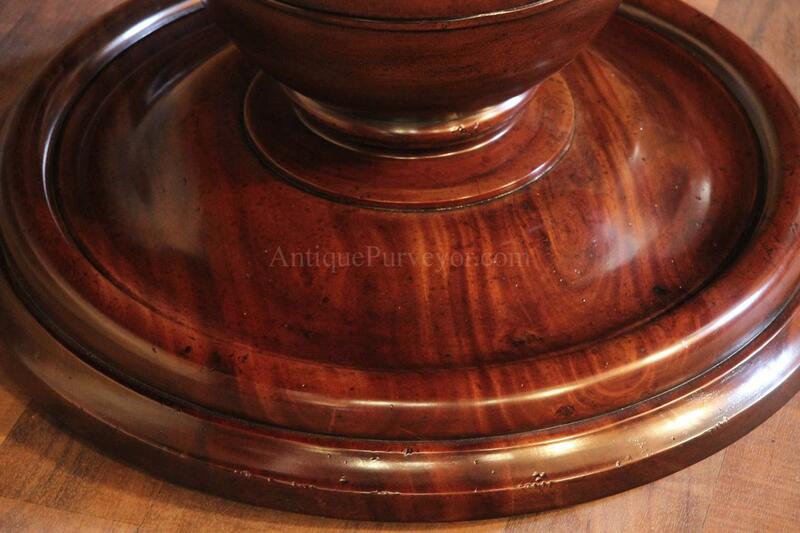 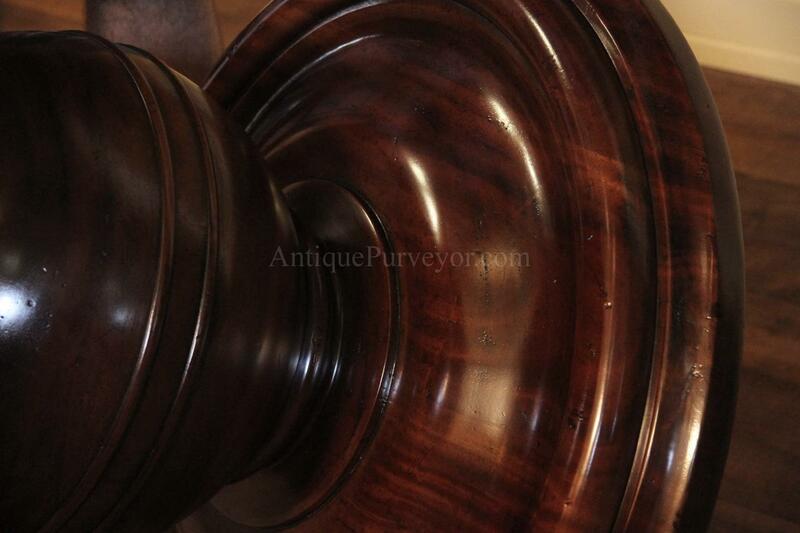 Solid mahogany sphere and collar base is very heavy and very good quality. 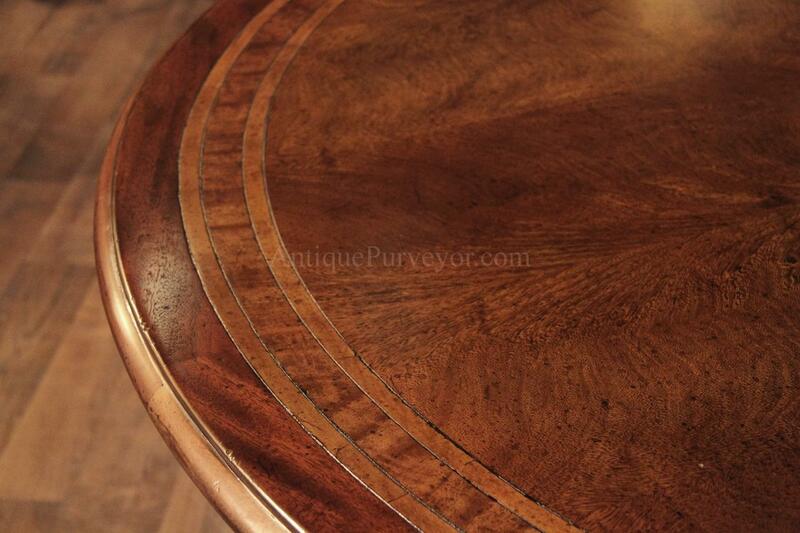 Top of table has cross banded cerejeira Veneers. 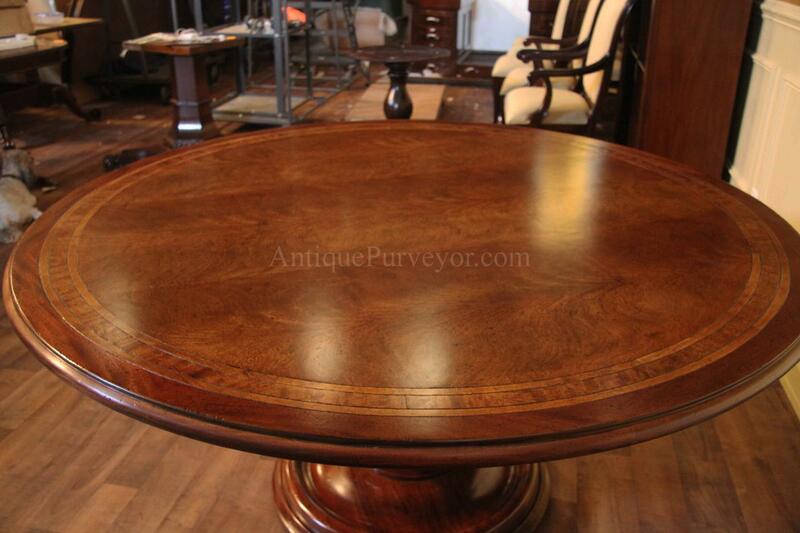 Great kitchen table or informal dining room table. 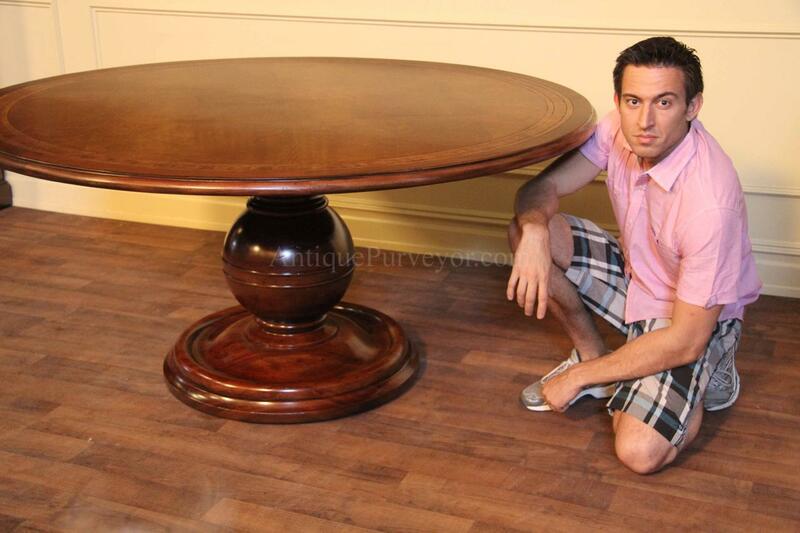 This table is high end, heavy and sturdy. 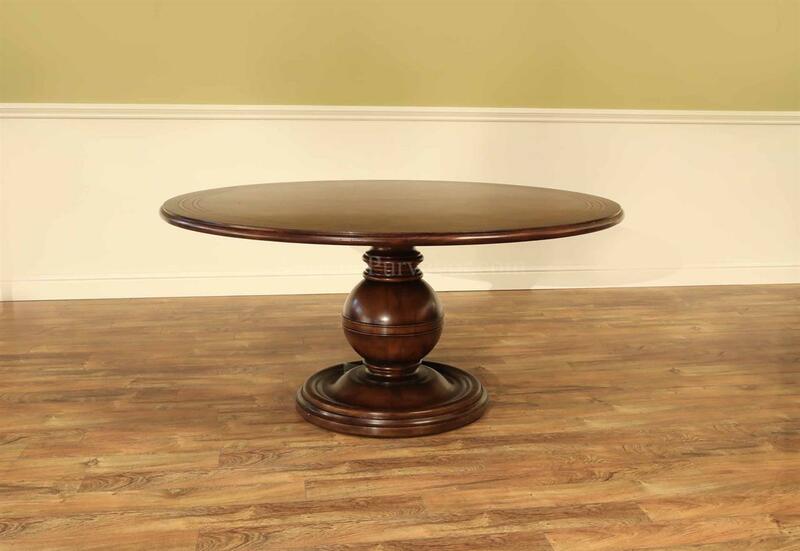 Despite its casual and simple design you are looking at a very well made piece of furniture. 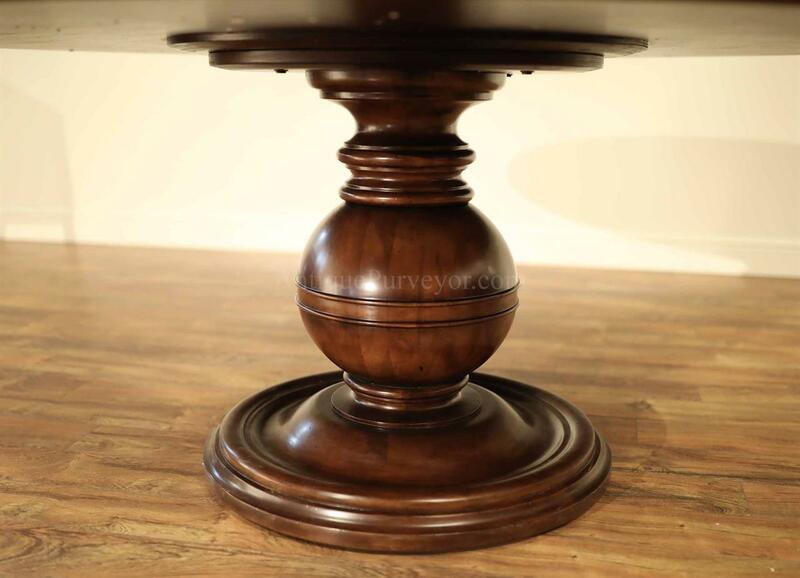 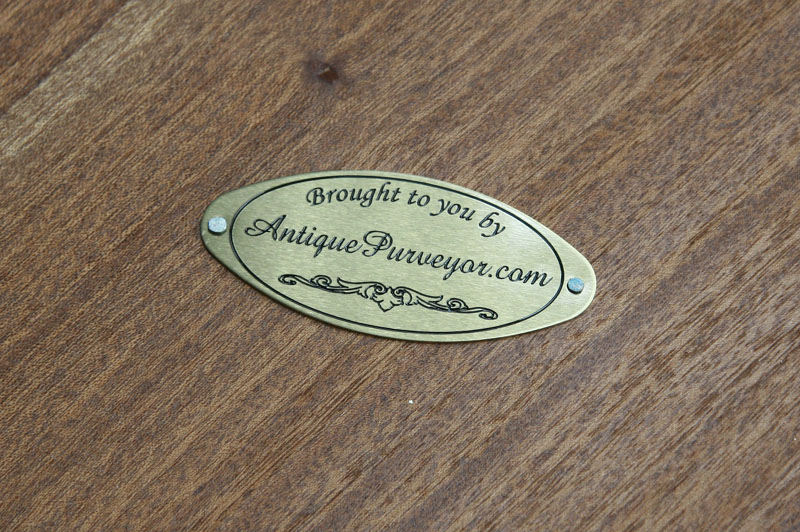 The solid mahogany pedestal by itself would cost about $1,500 to have made by a local shop. 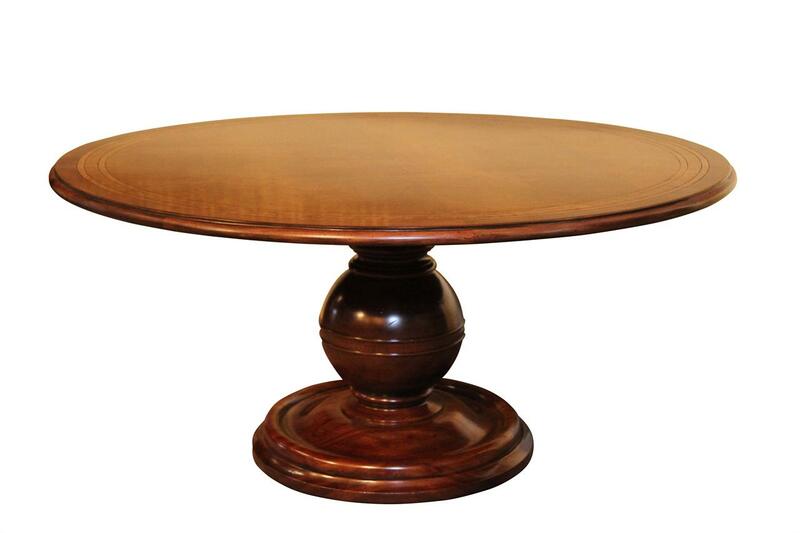 It is an extremely heavy pedestal table and the top is about 1 inch thick!